The 2.0L inline-4 turbo engine takes you from 0 to 60 mph in 5.8 seconds, and you can also upgrade to more powerful options like the 3.0L V6 biturbo or Handcrafted 5.5L AMG® biturbo. The 4-wheel multilink suspension helps to ensure that you always stay in control, so you can focus on enjoying the ride. Want even more options when driving through East Greenwich? Choose the mode you want to drive in, including Sport and ECO. By automatically turning off the engine at full stops, the ECO-START® feature helps Providence drivers conserve fuel and reduce emissions. The 2018 Mercedes-Benz C-Class has a lot to offer under the hood. Its impressive engine produces 241 hp and 273 lb-ft of torque, and it can achieve up to 24 MPG city. These are just of the few of the reasons the C-Class stands out compared to other brands. 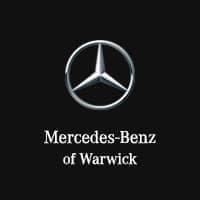 After comparing the C-Class to the E-Class, or other models, experience the performance of the 2018 Mercedes-Benz C-Class in person by scheduling a test driveat Mercedes-Benz of Warwick, located near East Greenwich.